Roger Corman’s called “King Of The B Movies” even though he once said “to my mind, I’ve never made a B-movie in my life.” If you consider that his low-budget films can be considered “arthouse” from one perspective, he’s right. But the title sticks, and today here’s Roger Korman, pushing his latest B-movie, Attack Of The 50ft Cheerleader, at Comic Con 2012. I’ve not yet seen the movie (there’s a screening tonight at 12 midnight), but from the trailers, photos, and the talks with Korman, Kevin O’Neill who directs the film, and its stars Jena Sims and Olivia Alexander, Corman may have a modern cult classic on his hands. That’s because it’s designed to, as Mr. Corman said, “be entertaining,” and not really a statement on strong women, though one could pull that ideology from the film, as it’s a constant theme with his movies. As I just finished interviewing Corman about an hour ago (then I had to eat to keep my energy levels going), the interviews with Korman, O’Neill, and his star cheerleaders will be up by Sunday. 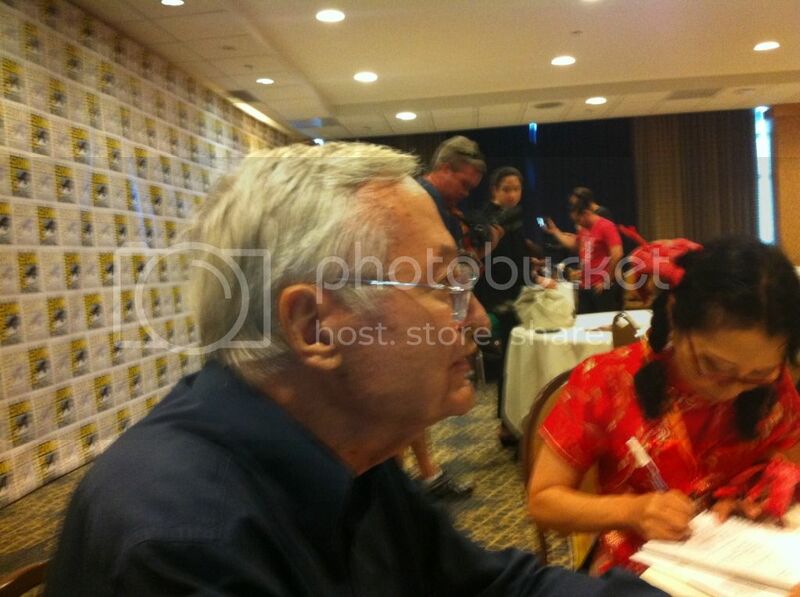 Be the first to comment on "Roger Corman’s Attack Of The 50ft Cheerleader At Comic Con 2012"